I thought of this story in the wake of an interesting round of seminars with two groups of nineteen freshmen in the interdisciplinary course I teach in. Our seminar text was Anselm’s ontological argument—the very title is sufficient to cause nineteen-year-olds (or perhaps anyone with common sense) to shut down or at least to glaze over. The proof is a highly cerebral, rational attempt to prove the existence of God first made famous by Anselm, an eleventh century Benedictine monk who rose to be Archbishop of Canterbury for the last fifteen years of his life. It is called the “ontological” proof because it focuses on a logical analysis of the concept “to exist” or “to be” (ontos in Greek). Here it is in its simplest form. 1. I can think of a being than which no greater can be thought (a Perfect Being). 2. Since I have this thought, the Perfect Being exists in my mind. 3. It is greater to exist both in the mind and in reality than it is to exist just in the mind (ex: a unicorn that existed in reality would be greater than the unicorn that just exists in our imaginations). 4. The Perfect Being must exist in reality as well as in my mind; if it existed only in my mind, I could imagine a greater being (which is contrary to #1). 5. Therefore, the Perfect Being (God) exists in reality. Here’s a cartoon version that gets the gist of the argument. 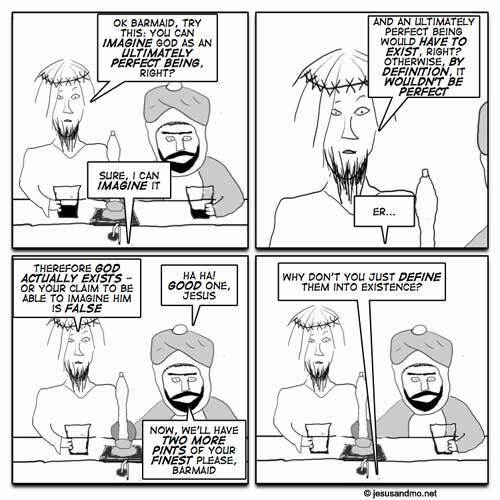 Jesus and Mohammed are having a beer . . . Confused? So were my students. My literature colleague and teammate, a medievalist, had done a first run through the argument in a lecture early in the week, but when I asked my seminar students how many thought they had a handle on what had happened in that class, not a hand was raised. 1. Choose one of the following roles: a person who believes in the existence of God or a person who does not. a. If you are a believer, would the ontological argument help strengthen your faith, or would it basically have no impact? Why or why not? b. If you are a non-believer, would the ontological argument convince you to become a believer or not? Why or why not? Each person wrote from the perspective of their chosen role for ten minutes, then compared what they wrote in groups of three or four with others who had chosen the same role—believers with believers and non-believers with non-believers. The students choosing to be believers and those choosing to be unbelievers were roughly equal in number. But the message that emerged from the group discussions—believer or non—was consistent: The argument doesn’t work. 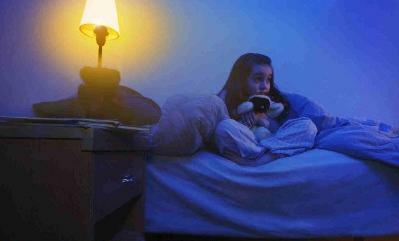 Believers agreed that although the argument might be “interesting,” that’s all it is. The argument does nothing to bolster, support or clarify already existing faith. 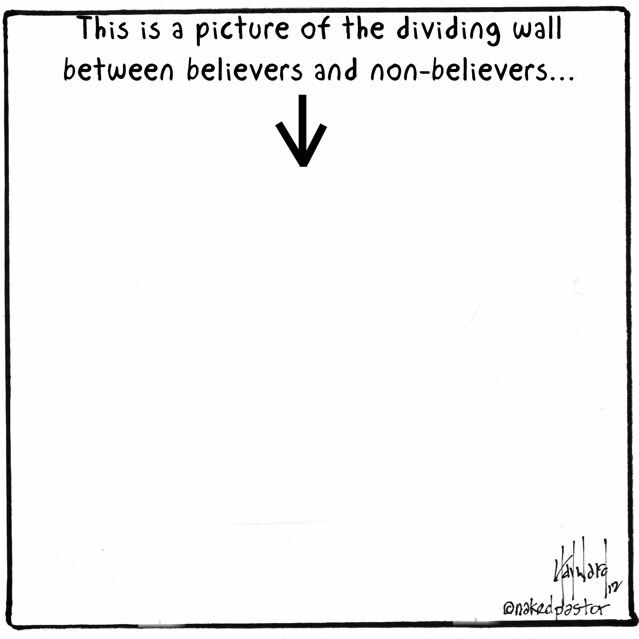 Neither did the argument move any non-believer an inch closer to belief. Why? Is there a fatal flaw in the logic of the flow from premises to conclusion? Many philosophers and theologians over the past millennium have sought to poke logical holes in different parts of the argument, with varying levels of success. But the ontological argument is still here, dragged out and dusted off in hundreds of philosophy of religion classes across the world every semester, stubbornly staking its claim that from the mere existence of an idea about a Perfect Being one can establish with certainty the actual existence of an actual Perfect Being that matches up to the idea. 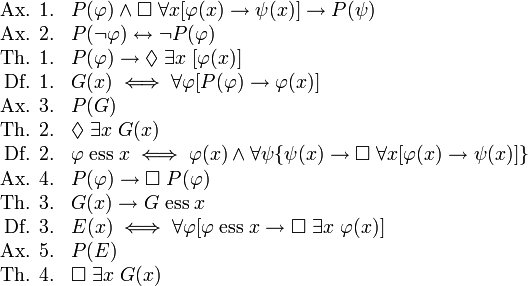 I have a colleague in the philosophy department, a Dominican priest, who not only is convinced that the ontological argument is sound, but who will proceed upon invitation to demonstrate it using symbolic notation and modal logic. Trust me, you don’t want to know. Maybe God exists, but this doesn’t tell me anything about how to relate to God or where God is. Faith for me is not about arguments. This argument doesn’t tell me anything about what God is like or what God wants. If I already believe that God exists, I don’t need a proof to tell me that. I don’t think God is a puzzle or a problem to be solved. How is this going to help me be a better person? 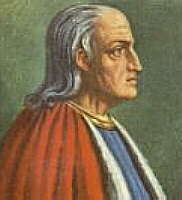 Bottom line: My students were in almost unanimous agreement that the God of Anselm’s argument is not someone who can be related to on a human level. Anselm’s God is not “somebody with skin on.” And sometimes—perhaps most of the time—that’s what we need God to be. The good news is that according to the Christian narrative, God knows this. It sometimes shocks my students to hear that “incarnation” literally means “to become meat.” Carnivore, carnivorous, chili con carne, carnal. Or to put it differently, “incarnation” means “to put skin on.’ God’s response to human need, hope, sorrow, desire, pain, joy, and suffering is to wrap the divine up in flesh. On a given day, in a given situation, that incarnated God might be you. It might be me. This is how the divine chooses to be in the world. It’s much more possible to relate to someone with skin on than to a mathematical formula or a logical construct. 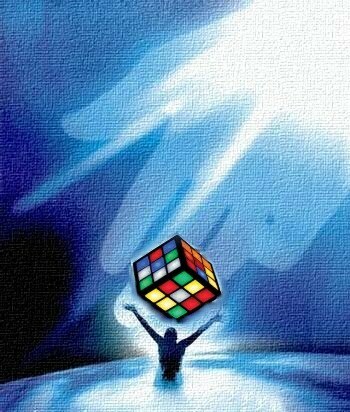 God is not a Rubik’s Cube. God is a person with skin on. Embrace it. This entry was posted in atheism, belief, books, certainty, Christianity, faith, God, humor, incarnation, Jesus, literature, philosophy, Religion, stories, suffering, teaching, writing and tagged Atheism, Christianity, faith, God, St. Anselm on July 8, 2015 by vancemorgan. Belief is purely intellectual. Faith is intuitive. In a way it ought to be possible to have faith without believing. But how to build one’s intuition? That is what needs to be pursued. Faith without belief–I like that notion. You may find something related in upcoming blog posts. It came up in one of your blog posts recently. A character in a novel stated that “God exists but I do not believe in him,” or similar words. Yes–that was a character in Iris Murdoch’s The Bell. I’ve come to think that the incarnation was not just a historical event–it continues in us. WE are God “with skin on,” in other words–we are the way that God chooses to be in the world. Sure; I mean … okay. There’s truth to that, but at the same time, there’s still something left to be attained, right? In other words, anyone can be born and act human, but to progress toward what Jesus was as Christ … don’t we have to work to become that, to realize that consciousness? Not everyone does, and Jesus says that few will even try. Of course! Recognition that the divine is in each of us is just the beginning–that’s what makes, for instance, the requirements of the Sermon on the Mount less impossible. Loved the “skin on” quote, & always do. incarnation, personhood, relatedness all matter! Just the proofs are too cold and uninspired in my opinion. Great work; always love reading, & sorry when I miss the actual in-person meetings! It was a good meeting on Sunday–different than the past few and very deep, but good.